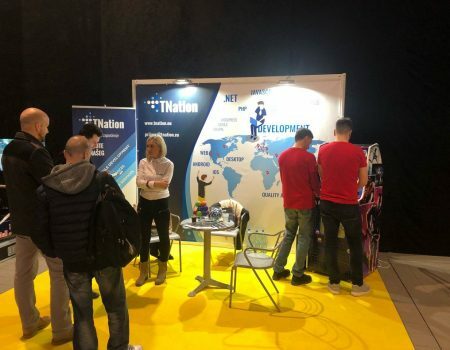 On Tuesday, October the 24th, for the first time in TNation, the “Open door” event was organized. Event was intended for students interested in further training in the IT field. The event started by welcoming students from our director Milos Podgorac and HR Department. After, a presentation of the company through projects, technologies in using and company structure, students had an opportunity to visit the whole company. 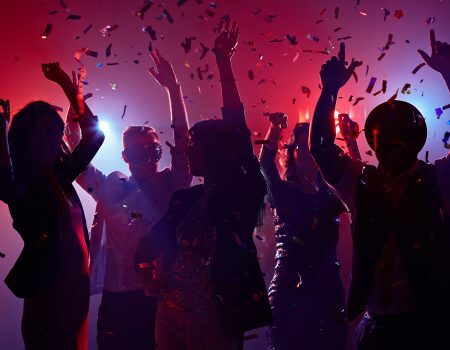 Also, they were enabled to get acquainted with the current tasks of the job directly in the workplace of our employees and how to solve them (to the extent possible by the safety measures). After the tour, in more informal atmosphere, students were given the opportunity to summarize the impressions and uniqe opportunity to ask questions to our HR department. Jelena Subic Blagojevic, our HR Department Manager, provided answers to all questions regarding mostly how to write an excellent CV. Of course, the most frequentely asked questions for all those who are in the final year of study or who are actively seeking employment – how to write a CV, what is important and what is less important. Also, to what do the HR service pays attention during the initial review, what should be in the section skill set etc. Through the PowerPoint presentation, our Department Managers have talked with students about the most interesting projects. That are current. However, the most interesting presentation probably was of our 3 employees who were students until a few months ago. Eventually they became TNation employees. TNation cultivates the culture of training its applicants through courses (which are free for students). Then the best students through practice. Then practitioners who have achieved the best results and permanent employment. In this way, our employees have been acquainted with all aspects of TNation‘s work. From the very beginning. They become part of it before the end of the studies. 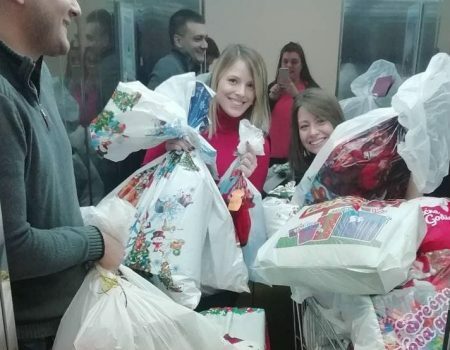 The whole event was completed with the gift packs. And of course, with the words of encouragement that we expect to receive their applications.